Great northern beans are often purchased in 2-lb. bags that yield 24, 1/2-cup servings. These beans, which are white in color, are a good source of fiber, protein, iron and calcium, and are low in fat and cholesterol. 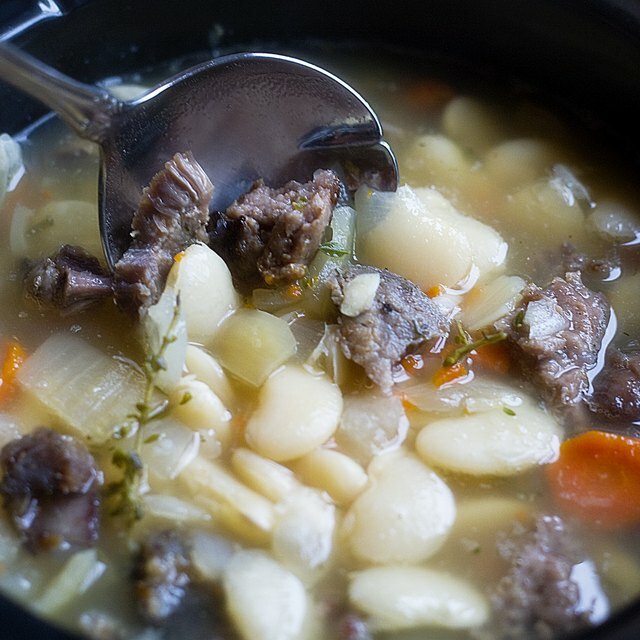 Beans are a good stand-alone dish and are also work well in stews and soups. People use a variety of methods to cook great northern beans, including in a skillet or a large pot. Cooking great northern beans in a crockpot is a good way to get the benefits of slow-cooking without the attention required for stove-top cooking. 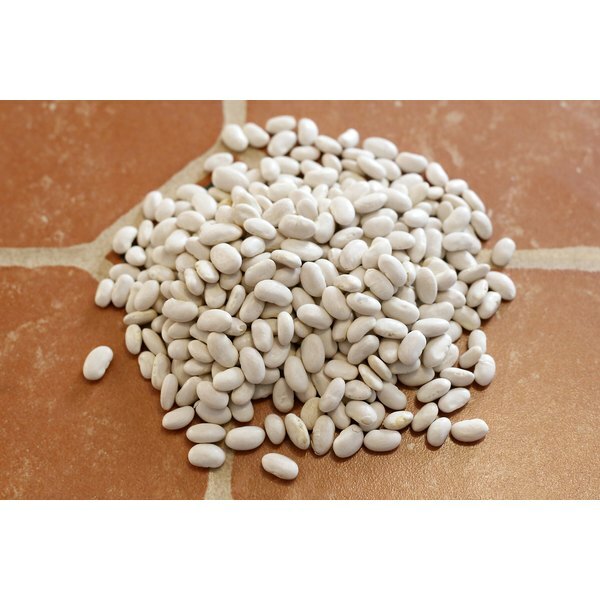 Sort your great northern beans to remove foreign objects and beans that are discolored, broken or shriveled. Examine handfuls of beans to make sure they are free of small stones and dirt pieces. Rinse the beans in a strainer or colander under cold running water and place the beans in a large pot for overnight soaking in at least 3 inches of water, covering the beans. Some cooks prefer to cook the beans without soaking. Rinse the beans after overnight soaking and place them in a 4- to 6-quart crock pot with your dry seasonings and seasoning meat, if you prefer. One recipe calls for 1 lb. of great northern beans, 2 quarts of water added as needed, 1 tbsp. salt, 1 tbsp. pepper, one ham bone or boneless pork chop, 1 ½ tsp. hot pepper flakes and 1 tbsp. butter. Add water until it reaches about 1 inch over the beans. Cover the beans and cook them on the high setting for about two hours and adjust the setting to low for another four to five hours of cooking. Stir the beans occasionally and add water as needed, being careful not to add too much water at one time so the gravy made by the beans is a nice consistency. Thicken the grave by setting the lid at an angle to allow steam to escape. Add ¼ cup of water at a time to slowly thin the gravy, if needed. Break up the meat from the ham bone or the pork chop once the beans are done and stir the beans to distribute the meat throughout. When done, the beans should be tender and the gravy thick. One cup of dry beans yields about five cups of cooked beans. For a vegan great northern beans dish, omit the seasoning meat and use vegan butter and vegetable bullion seasoning. Add chopped onions, celery and garlic for added flavor.